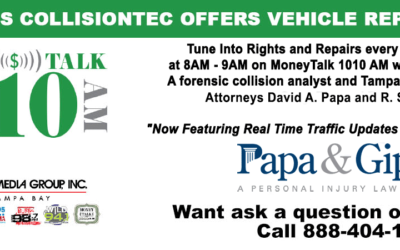 New show time starting December 5, 2016 Rights and Repairs Radio will now be airing from 8 am – 9 am Monday Mornings, starting December 5, 2016 and will also include Real Time Traffic Updates through out the hour! Collisiontec was an official sponsor of the Mason Dixon 16th annual Best of the Best Car Show in Clearwater, Florida on November 13, 2016 at BrightHouse Field. We had a 2016 roush stage 3 convertible with 675 horse power and Dan Cooley’s custom painted f350.